It’s out-of-print and no longer available at the Golden Gate Bridge store, but I found a “like new” copy on AbeBooks and it’s still available from some on Amazon. 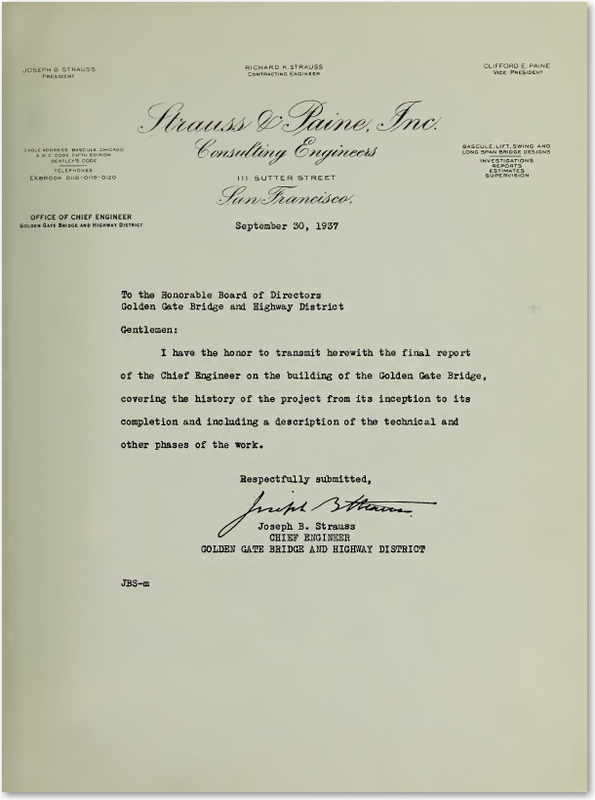 The book builds off of the original Report of the Chief Engineer, 1937, by Joseph B. Strauss (which is no longer sold), and relates the many technical, political, and financial challenges encountered in the late 1940s through the turn of the 21st century. 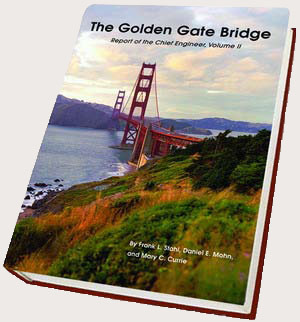 Chronicling the many successful actions taken to maintain the Bridge’s ability to serve as a transportation link well into the future, the book provides insights into the most crucial engineering and design challenges met since the Bridge opened 70 years ago. This is a historical record of the leading role the structure has played in the investigation of long span suspension bridge behavior, in the development of modern design theories, in the application of modern bridge maintenance methods, and in the development of innovative traffic management methodologies. The Bridge has been the scene of many firsts, which are detailed in this volume. Stellar examples of this include the first-ever total replacement of the vertical suspender ropes on a suspension bridge undertaken in the 1970s, and the successful replacement of the entire Bridge roadway in the 1980s. 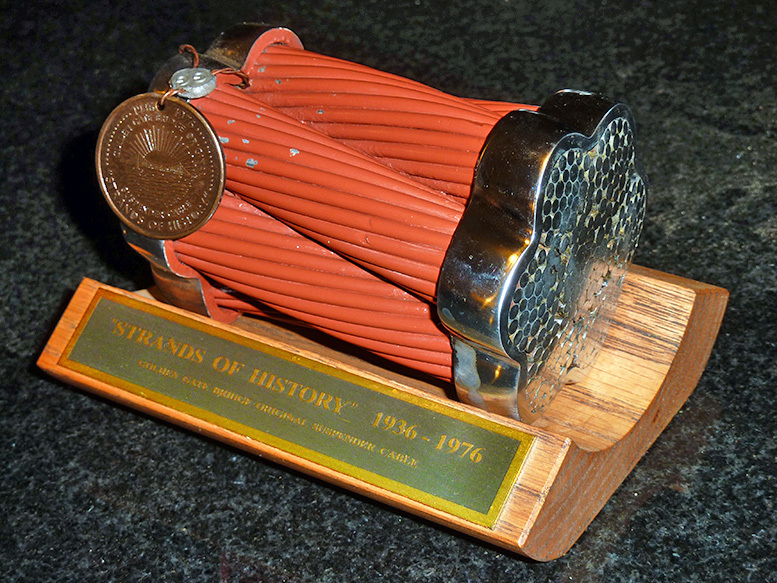 I have a slice of one of the original vertical roadway suspension cables mentioned above. I’m sure this book will be a fascinating companion to the first volume, published in 1937 some months after the bridge opened. 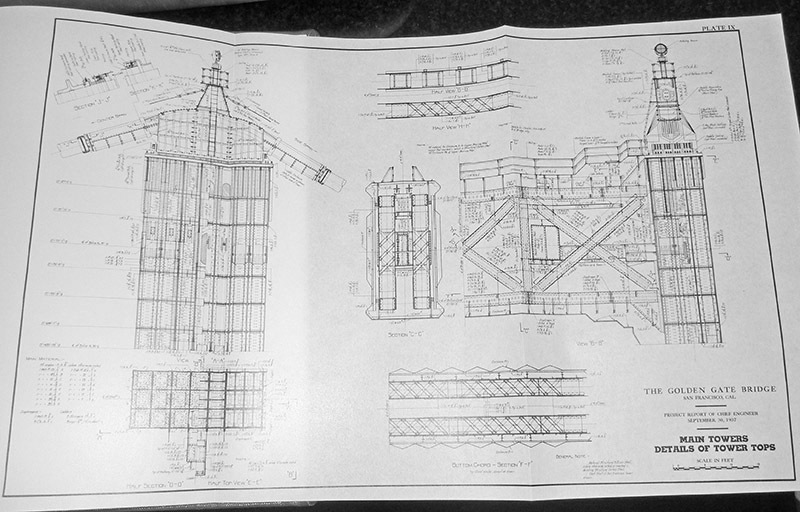 I have an ex-library copy of the original book and it’s quite a read, with dozens of photographs of all phases of construction and several fold-out engineering drawings. Just this year, the Internet Archive scanned the 1937 volume and you can get it here. Unfortunately, it seems a lot of the fold-out plates such as the one below were missing from their copy. The only thing missing from mine – it was roughly torn out – is the fold-out colour painting that appears in their PDF at the front of the book. I took these photos of my favourite bridge in the world in 2002. I produced the panorama just now from three crusty old Kodak DC-280 photos – a paltry 2 megapixels each – with the beautifully free and high-quality Hugin. It finds all the matching points and you hardly have to lift a finger. You can click on these to view a larger size. Just several weeks ago, something was done about the one unfortunate characteristic of the bridge: Now, finally, a suicide barrier is to be constructed. 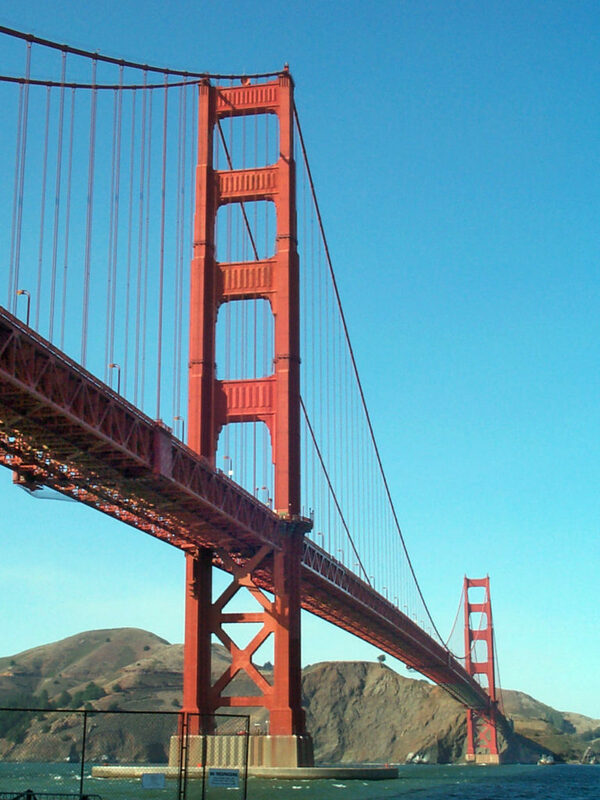 This entry was posted in Golden Gate Bridge and tagged Golden Gate Bridge, Joseph Strauss, San Francisco.